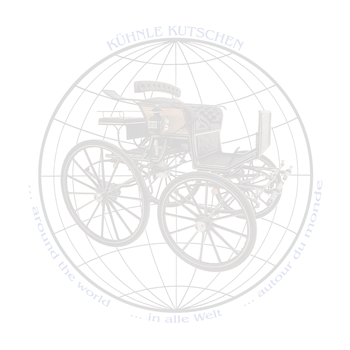 Welcome to KÜHNLE carriage manufactory, your partner for high quality and custom-made horse carriages. 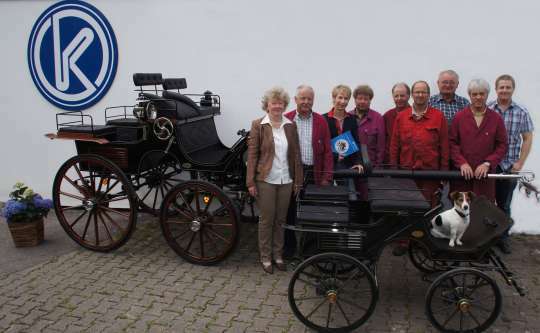 Since 1 August 2010 the KÜHNLE carriage manufactory GmbH & Co.KG based in Haiterbach-Beihingen is under the qualified leadership of Paul & Heidi Kühnle. Our family-run business can look back on a long tradition in manufacturing carriages. This tradition engages us anew day-to-day to face our customer’s requirements. With a reduced production but the previous specialised staff we still dispose over a treasure of experiences that garanties the constant high product quality, as success is not owed to chance! Thus Mr. Helmut Kühnle is still responsable for the production. Since over 40 years he is successfully in charge of this department. 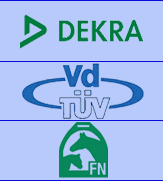 The team is completed by staff members who worked over many years at Kühnle, Mr. Michael Kuckel responsable for the production of marathon carriages since 1979 and Mr. Stefan Babic head of the assembling department since 1977. Whether you are looking for new carriages, used carriages, ancient carriages, revised or restored ones you will always find the right contact person for all your questions at KÜHNLE Haiterbach. The KÜHNLE carriage manufactory will be pleased to receive your inquiries and orders.